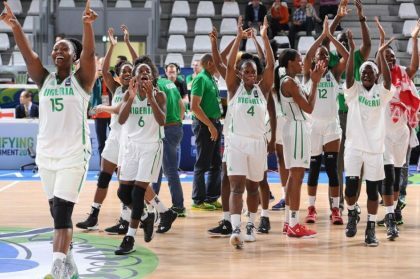 Femi Adesina, Abuja: President Muhammadu Buhari congratulates the national female basketball team, D’Tigress, on winning the 2017 FIBA Women’s AfroBasket tournament in Mali and qualifying for the 2018 FIBA Women’s Basketball World Cup in Spain. President Buhari joins other sports-loving Nigerians in saluting the heroic performance of the victorious D’Tigress over their Senegalese counterpart in the final of the 2017 FIBA Women’s AfroBasket tournament on Sunday. The President commends the players for displaying uncommon strength, confidence, skill and dexterity in their victory over the defending champions. President Buhari urges members of the team and their handlers to remain focused and dedicated even as they prepare for greater glory to Nigeria at the forthcoming FIBA World Cup. The President assures the team, its managers and the Nigeria Basketball Federation of his support and that of the Federal Government to ensure that they excel against other top competitors in Spain.